my heart that's in repair? sends rains in torrents from afar. beyond all hope, emotions are. but says, "Believe, in Me confide. Rest and see My flower bloom." despite the storms, despite the drought. Life's path has torn me inside-out. 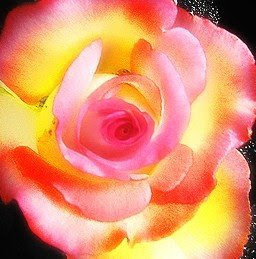 A vibrant rose is so devout. 9 holding fast the faithful word which is in accordance with the teaching, so that he will be able both to exhort in sound doctrine and to refute those who contradict. My heart goes out to you, Louis. Life hurts sometimes. I've been praying for you. I count you a dear friend in Christ. Keep On Keepin' on. You've touched a lot of people with your poetry. I've seen Jesus in you. Thank-you for sharing your heart. Your poem brought me to tears. ~ Susan -- Please keep writing your beautiful poetry.